What is Holy Fig Tree Pose? Holy fig tree pose, or ashwanasana in Sanskrit, is a balancing posture and variation on tree pose. 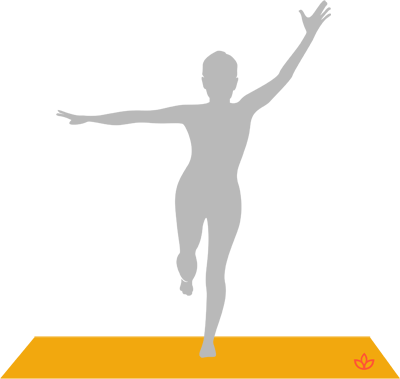 Here, the practitioner stands on one foot while reaching the other foot back, one arm up, and one arm to the side. The pose improves one's sense of balance in space. Begin standing and reach the arms straight ahead and at shoulder height. Shift the weight to the left foot. Inhale and reach the right foot back and up. At the same time, reach the right arm out to the right.